Brainstorm a bit: what do we want in terms of lines and points and what attributes should we have? 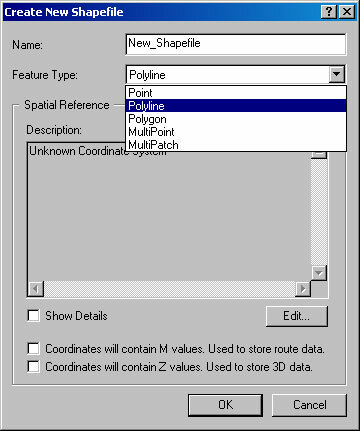 Navigate to the directory where the image file is and click on new->Shapefile. You want to make a Polyline. Name the file something meaningful and then say ok. 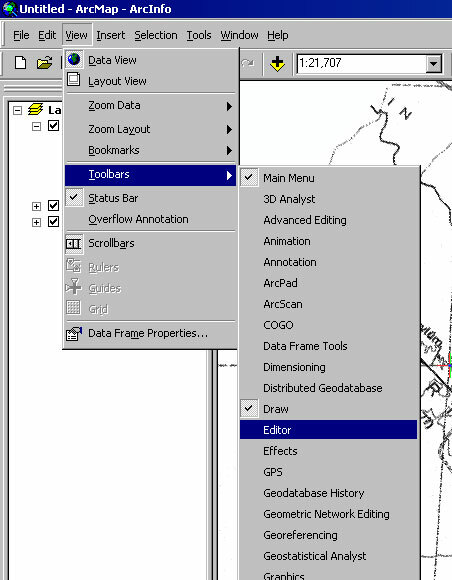 Inside of ArcCatalogue, right click on the shapefile and select properties. 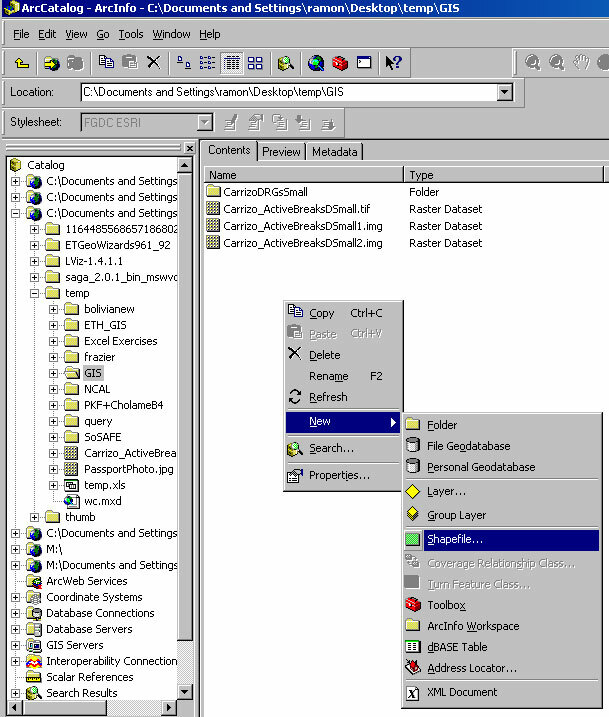 Then choose the XY Coordinate System tab. You can Select... a coordinate system, or import one. I tend to import the one that the base image is from. Just click on import and navigate to that file and then say Add. 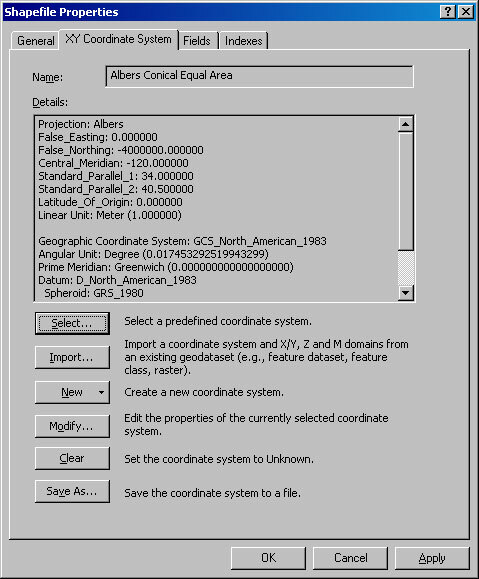 ArcCatalogue will read the header file and define the coordinate system for you. Push ok. 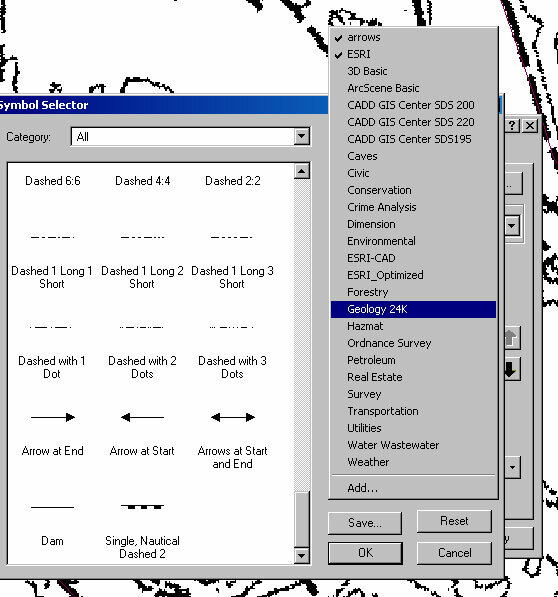 Inside of ArcCatalogue, right click on the shapefile and select properties. This time, choose the Fields Tab. Click in the field name and type Feature type. You can call it anything ("faults" example). Under Data Type, make sure it is text. Note you could have various number types as well. 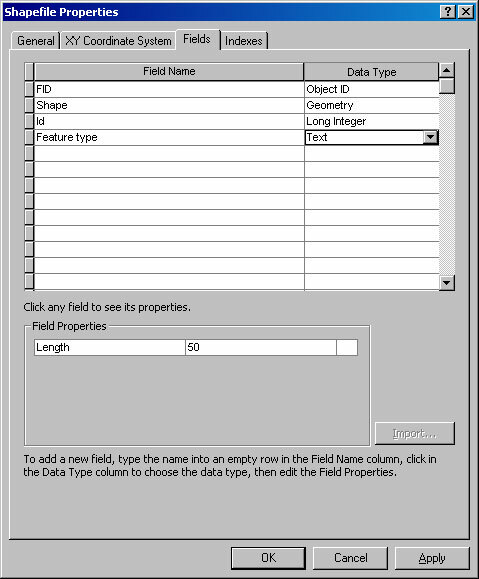 ArcCatalogue will prompt you to shorten the Field Name possibly. 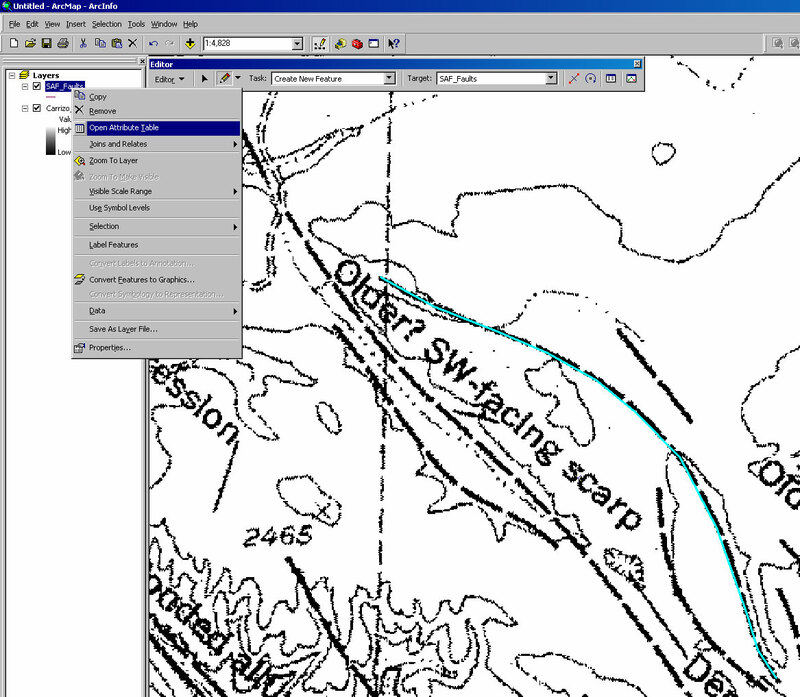 In ArcMap, add the new shapefile to your project (click on the plus with the yellow around it). Click to add each vertex, and double click to end the line. 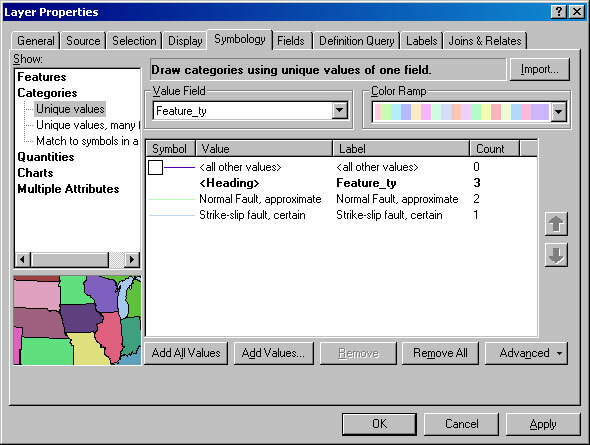 In the attribute table, you can edit the Feature type field and type in what the feature is ("Normal Fault, approximate")--Make sure you always use the same way of writing each feature, down to using the exact same spelling! Continue clicking out the features for a while, filling out the Attribute table as you go. When you are ready to stop, click on the Editor toolbar menu and choose Stop editing. To symbolize the lines you just drew, right click on the layer in the Layer Control/Table of Contents and choose Properties->Symbology. Then on the left, select Categories. For Value Field, choose Feature Type, and then Add all Values. Unselect the Value. Navigate until you find the symbol you want. You can also label them if you want (right click on the file under layer control->Label Features.